The Milwaukee Radio Alliance partnership was born in 1996 via veteran broadcasters Bill Lynett (Shamrock Communications) and Willie Davis (All Pro Broadcasting and NFL Hall of Fame Green Bay Packer). In an era of growing consolidation, the need became evident for radio stations that truly serve their communities; stations directed by broadcasters not venture capitalists; stations that would actively serve the people in their communities. The Milwaukee Radio Alliance is comprised of three very unique radio stations: B93.3 WLDB-FM; FM 102/1 WLUM-FM; and 100.3FM and 1290AM WZTI-AM Milwaukee’s True Oldies Channel. The partnership was born in 1996 via veteran broadcasters Bill Lynett (Shamrock Communications) and Willie Davis (All Pro Broadcasting and NFL Hall of Fame Green Bay Packer). In an era of growing consolidation, the need became evident for radio stations that truly serve their communities; stations directed by broadcasters not venture capitalists; stations that would actively serve the people in their communities. The Milwaukee Radio Alliance, an anomaly in today’s radio business, is alive and well in southeastern Wisconsin and is extremely proud of its business model of local ownership, community involvement, interactive relationships and listener-responsive programming. The management philosophy of the Milwaukee Radio Alliance is “hands-on.”​ No other radio group in the area has the aggregate experience in the Milwaukee marketing community. MRA’s radio professionals have been a part of the advertising and marketing scene for 20, 25, 30 years and more, and they pride themselves on their personal relationships with agency principals and local business owners. Radio is a very personal medium, and the real relationships that have been built over the decades have become the MRA’s trademark. An Account Executive for the Milwaukee Radio Alliance is responsible for developing and maintaining new clients/advertisers; keep and grow existing client relationships; offer solutions to help advertisers achieve their business goals and to exceed sales quotas as set by management. This is an outside sales position in which you will be accountable for selling radio commercial advertising, digital marketing solutions, and promotional events to a variety of local and regional business owners and advertisers. You will be expected to build a client base through cold calling (in-person, phone, electronically) and networking with area business owners and managers across a variety of business verticals. Ideal skill sets include but are not limited to: honesty, assertiveness, self-motivation, trustworthiness, creativity, negotiation, time management, outstanding customer service, and the ability to work in a fast paced environment and thrive under pressure. Proficiency in MS-Office and the ability to quickly learn proprietary software is critical. Prior commissioned sales experience is a BONUS! The position reports to the Director of Sales at the Menomonee Fall, WI studios. Office hours are Monday-Friday from 8AM to 5PM; evenings and weekends whenever the requirements of the job may demand. Account Executives must drive their own vehicle with a valid driver’s license and possess state mandated auto insurance. The Milwaukee Radio Alliance is an Equal Opportunity Employer and drug free workplace. An internship with The Milwaukee Radio Alliance allows college students to work in an innovative, progressive, fast paced and professional environment. Students are exposed to all levels of the organization, which has proven to be an invaluable experience to individuals interested in pursuing a career in a number of industries including; journalism, marketing, the arts and entertainment industries. Along with invaluable knowledge and industry perks for our interns, we work area accredited institutions to provide course credits as possible. We also offer a flexible schedule to accommodate student needs. 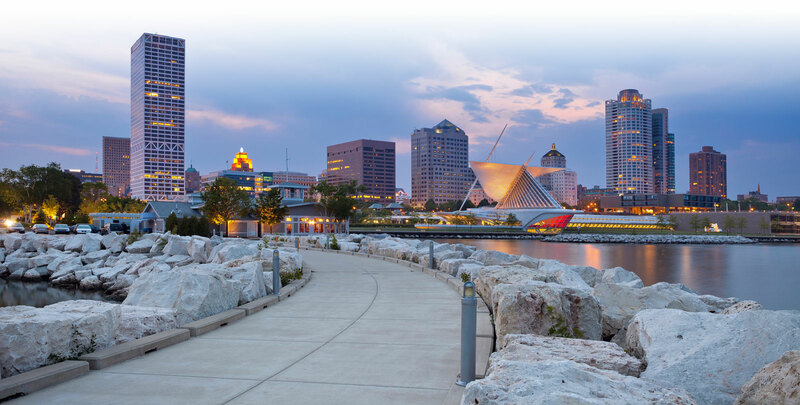 As an intern with The Milwaukee Radio Alliance, you will Assist in optimizing and updating media for all social platforms and help build buzz around three stations and their related events. Assist in drafting social media content, creation of web and mobile applications and engagement of listeners in the digital space. Report insights via various social media analytical tools (e.g. Audience Insights, Twitter Analytics) and real time observations. Assist in creative development, production and execution of broadcasts, events, contests and partnerships. Work with on air talent, creative and sales departments to ensure the voices of the brands are properly represented across all activities. Assist in on site promotions including all aspects of planning, production and execution of client events, station events and concerts. Needs to be able to work on-site in Menomonee Falls, WI as well as metro Milwaukee area.